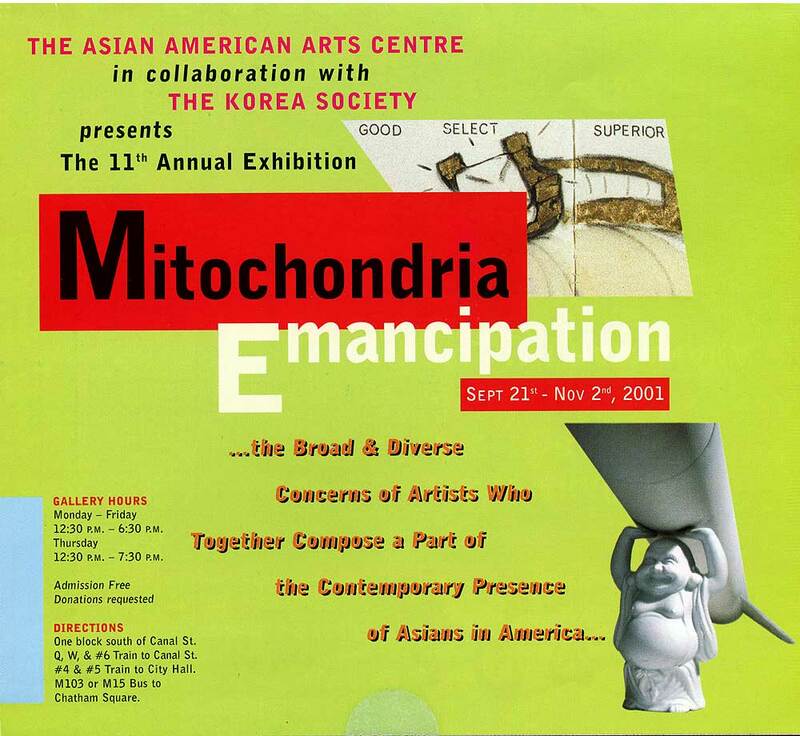 Exhibition flyer and poster for "Mitochondria Emancipation: 11th Annual Exhibition" at Asian American Arts Centre, New York City, from Sep 21-Nov 2, 2001, with artists Paolo Arao, Shelly Bahl, Julia Cowing, Mayumi Hamanaka, May Jong, Mija Jung, Ed Pien, Okhee Ryu, Micki Watanabe, and Steven Wong. 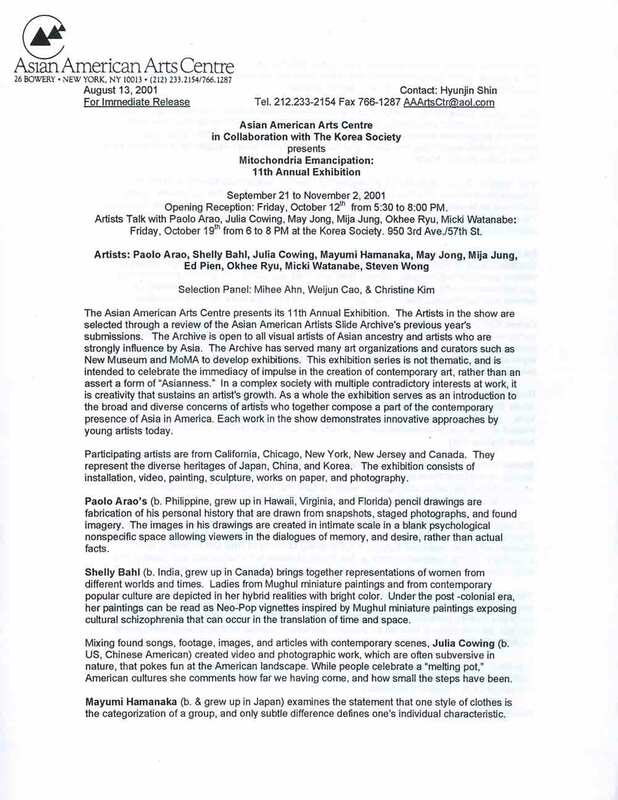 Exhibition card for "Pink is the Navy Blue of India" at M.Y. 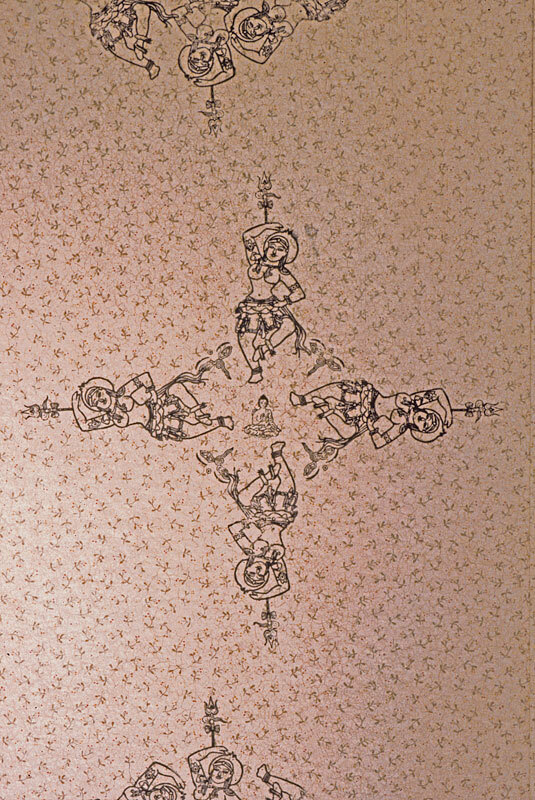 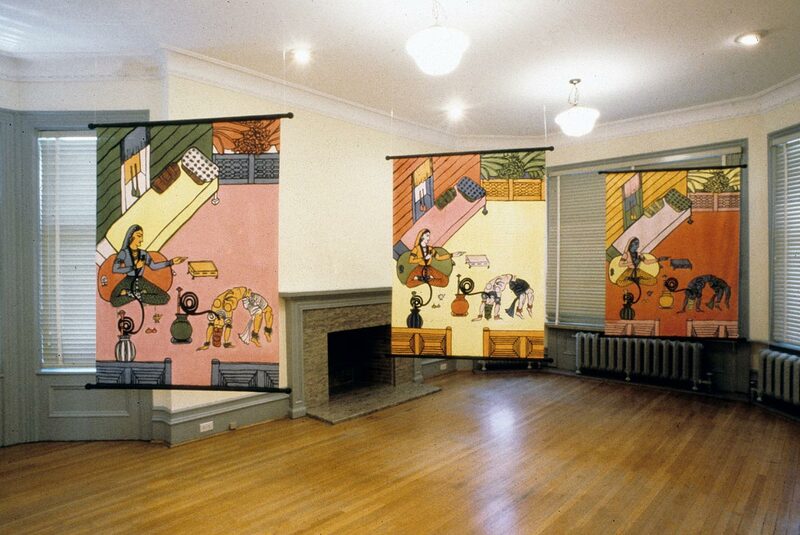 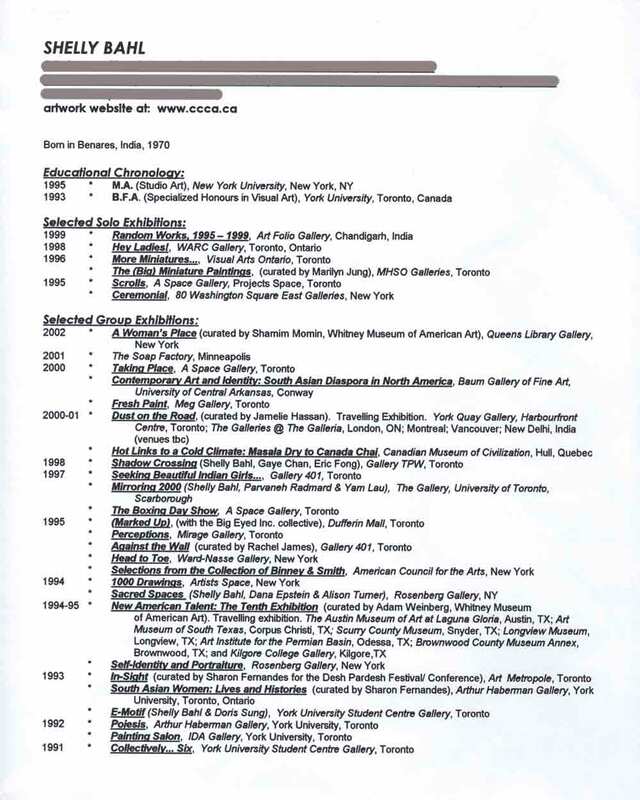 Art Prospects, LLC, New York City, from Sep 6-Oct 4, 2003. 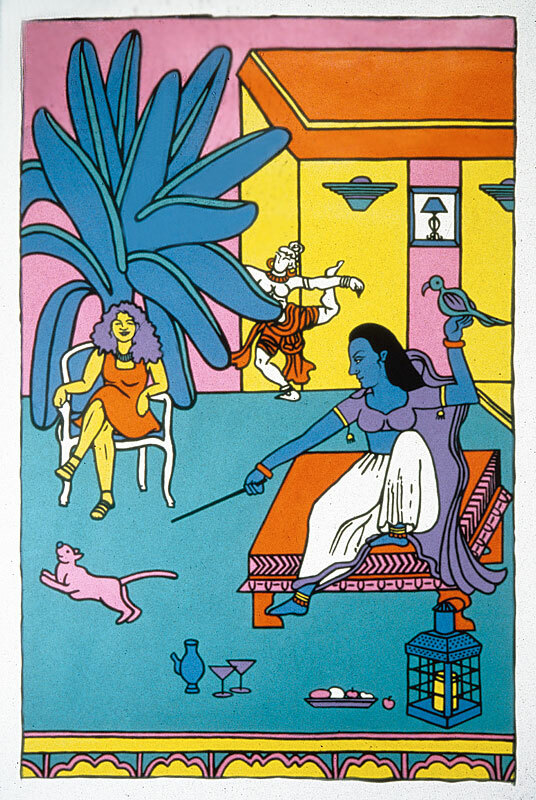 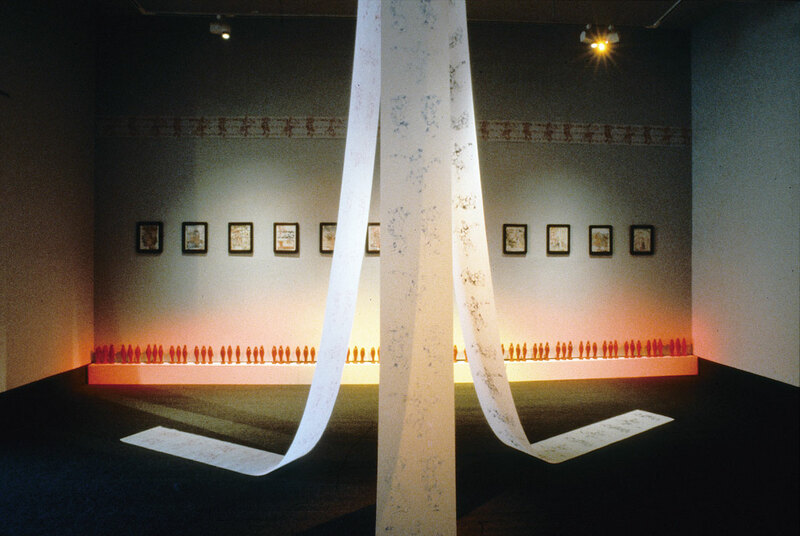 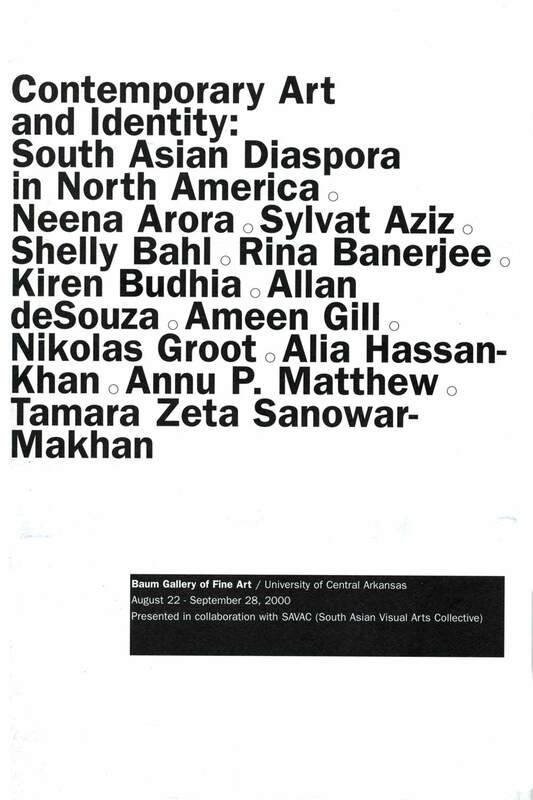 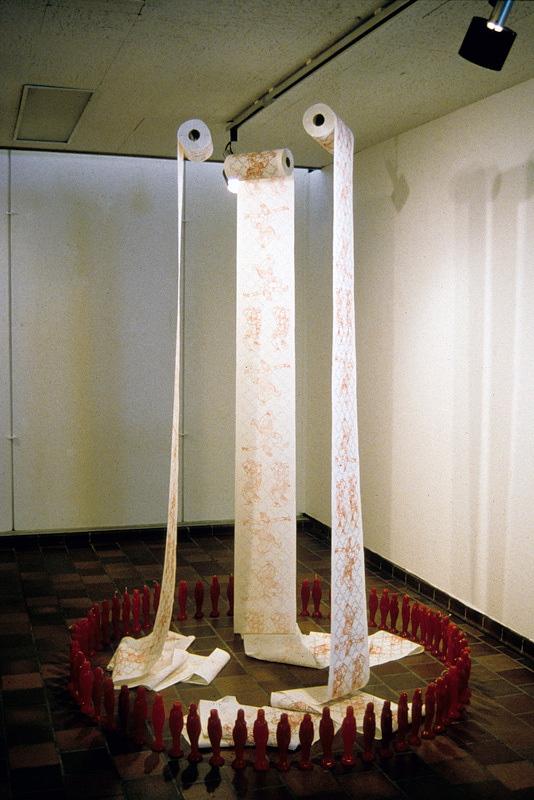 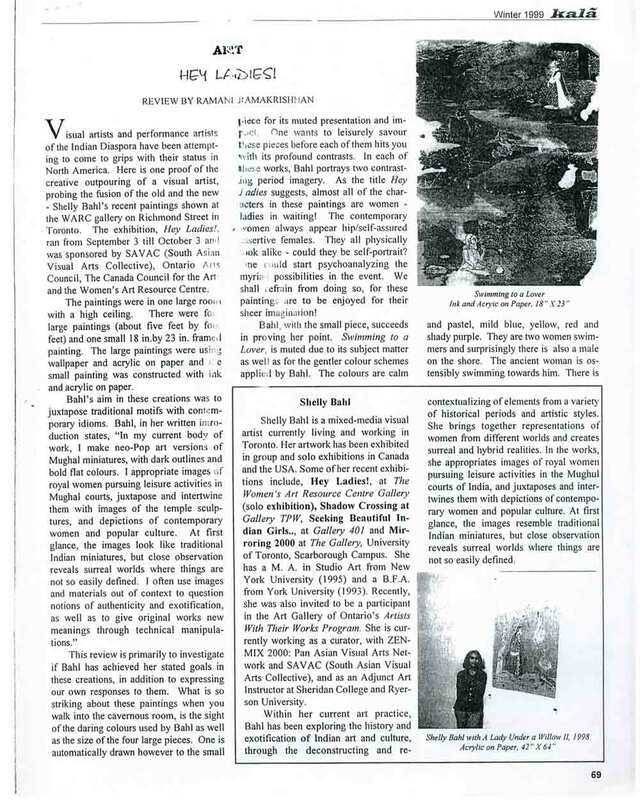 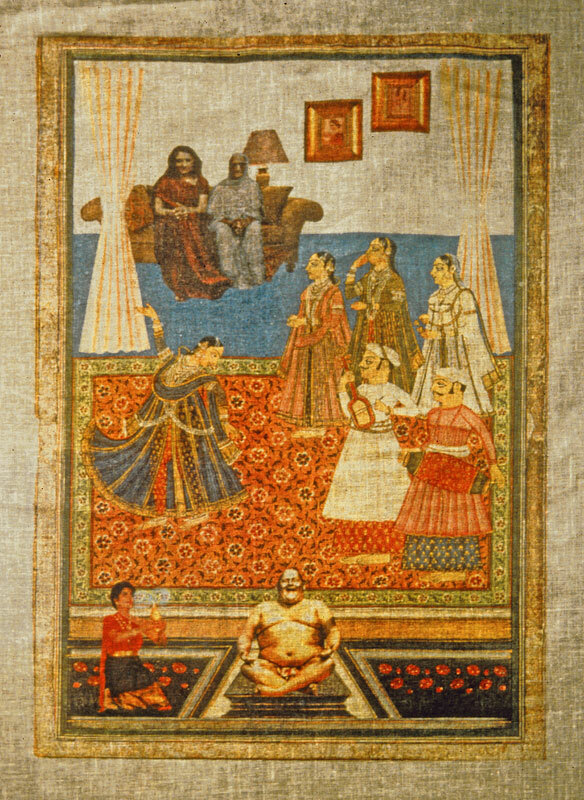 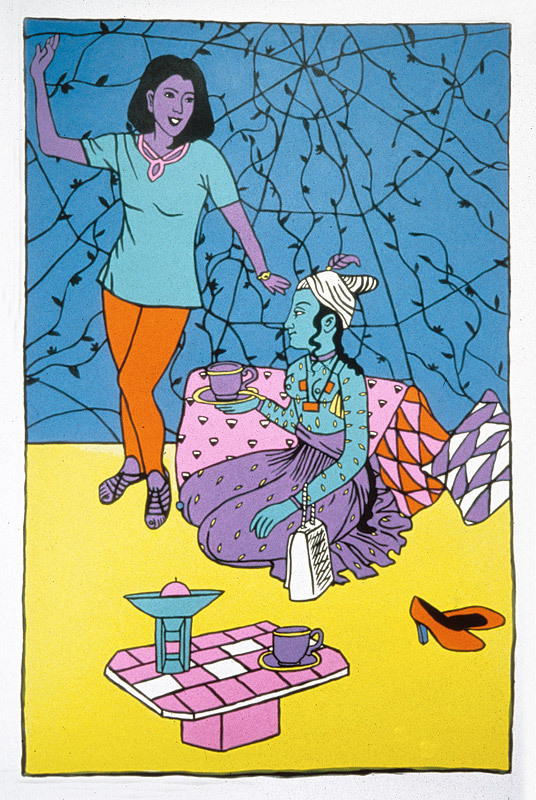 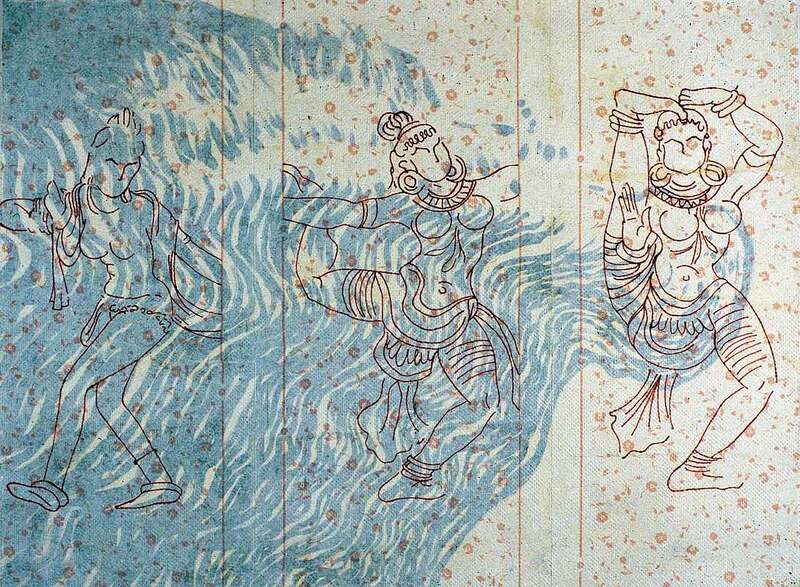 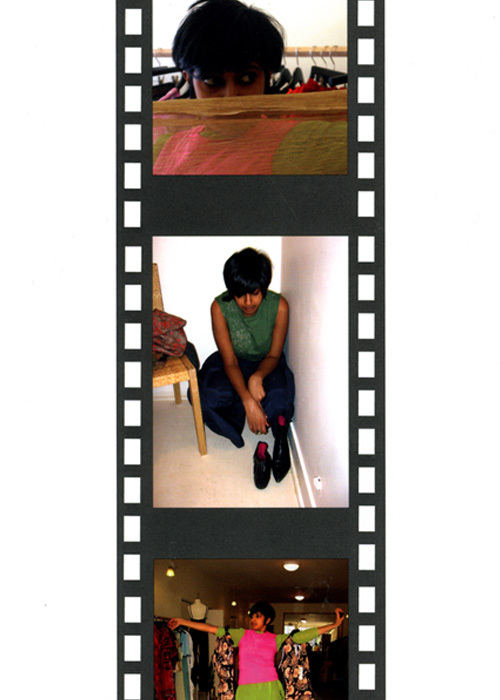 Excerpts from exhibition brochure for "Contemporary Art and Identity: South Asian Diaspora in North America" at Baum Gallery of Fine Art, Conway, Arkansas, from Aug 22-Sep 28, 2000, with artists Neena Arora, Sylvat Aziz, Shelly Bahl, Rina Banerjee, Kiren Budhia, Allan deSouza, Ameen Gill, Nikolas Groot, Alia Hassan-Khan, Annu P. Matthew, and Tamara Zeta Sanowar-Makhan.